REMINDER: Women's Basketball Head Coach Tanya McKay is pleased to announce information for the 2017 Fall session of the successful "I Can Score" Basketball Program. The session will begin on Sunday, September 10, 2017Women's Basketball Head Coach Tanya McKay is pleased to announce that after four successful seasons, the "I Can Score" Basketball Program will return for a 5th year at the University of Winnipeg. The "I Can Score" program is designed to help players develop their one on one skills needed to take their games to the next level and create the ability to score in game situations. The fundamentals of being a scorer whether in the paint or on the perimeter revolves around footwork, shooting form, reading the defense and creativity on the move while handling the ball. Wanting to be a scorer and being a scorer are two different things. Being a scorer takes work. The "I Can Score" program that coach McKay has implemented is designed to develop the ability to put the ball in the hoop from every area of the court. 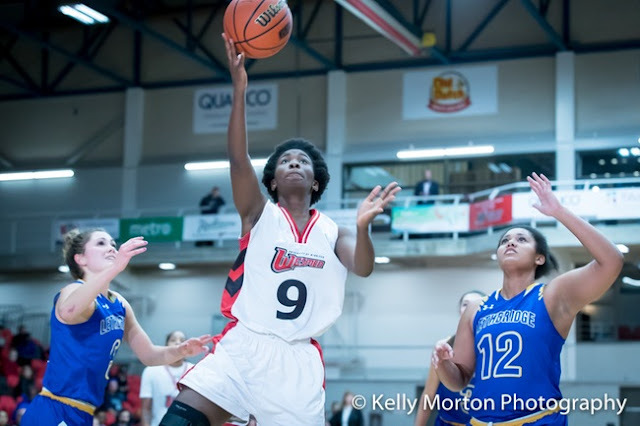 Wesmen players and coaches will provide 8-16 hours of on-court training. Sign up now...When everyone else is sleeping in on Sunday mornings, you will be at the gym getting to work.